Tópico em 'Mangás, Light novels & Visual novels' criado por M3troid em 21/05/2015, 19:47. Sinopse Manga Updates: In a hidden school surrounded by mountains, young ladies of good families are taught everything a high class lady needs to know. They are also completely cut off from the outside world, keeping them sheltered and innocent. However, a problem has come up recently-- more and more graduates are failing to cope with the modern world after graduation. To deal with this problem, they've decided to kidnap a male commoner student, and enroll him as a student. They hope that this will be a gentle way to introduce the girls to the outside world. Kagurazaka Kimito is chosen for this dubious honor, mostly because he seems utterly average. However, the school leaders also seem to have concluded he's a homosexual with a muscle fetish. When Kimito hears that the alternative may be castration (to protect the girls' purity), he eagerly plays along with this misconception. Now he'll just have to survive the attention of many high class young ladies that are completely out of touch with the world. E a Aika continua caindo nas trolagens do Kimito. Finalmente algum scan voltou com Shomin Sample. A dona mudou da água pro vinho, e ainda confessa na cara dura que abusava do cara de noite. Ela só pode ser bipolar. 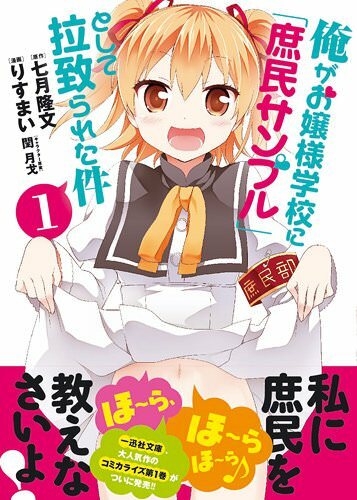 (16/03/2018, 10:01)Metroid Escreveu: Finalmente algum scan voltou com Shomin Sample. 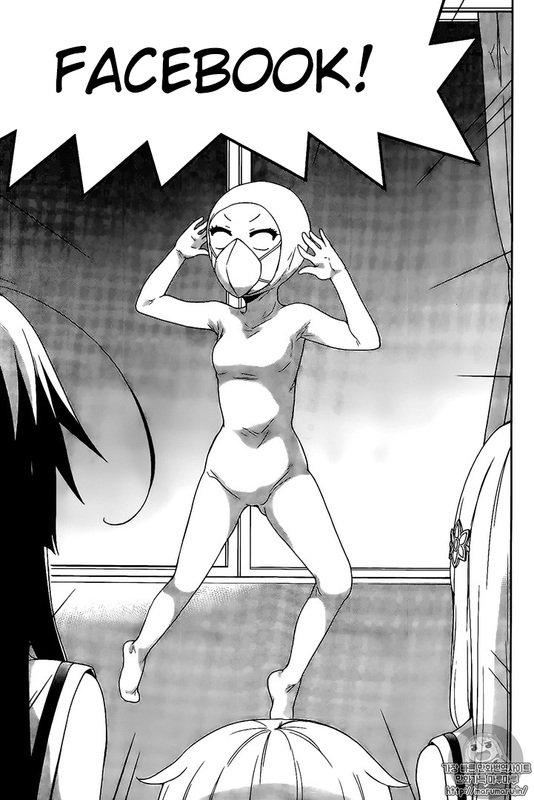 Sim finalmente scan pegou o manga. Quanta enrolação pra falarem sobre as memórias perdidas do Kimito. Tomara que no próximo cap já resolvam isso. Bem, o que aconteceu com o Kimito quando criança não foi lá grande coisa. Se bem que ainda acho que tem mais além disso. 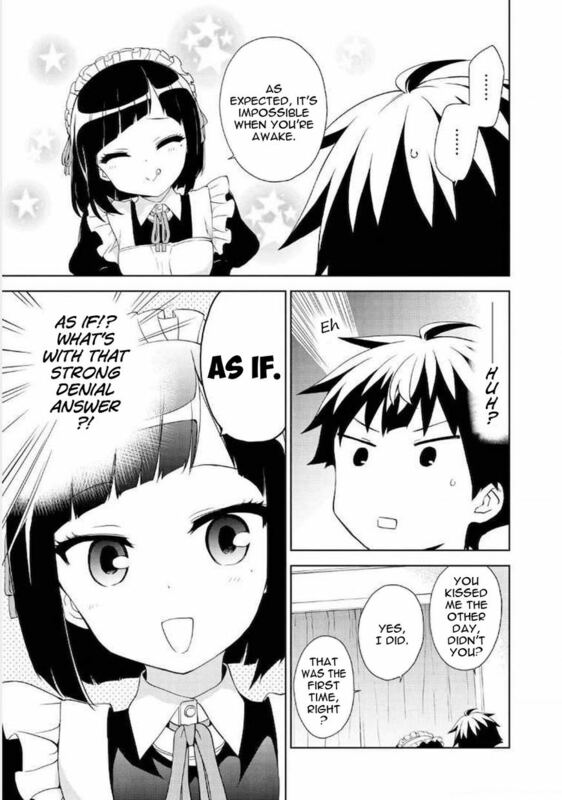 Seria interessante se o Itsuki aparecesse em pessoa. Como ele não quebrou o pescoço? "uma pizza não pode custar apenas isso"
(28/06/2018, 21:59)Metroid Escreveu: "uma pizza não pode custar apenas isso"
esse arco delas stalkeando ele a Aika ta mt bom.